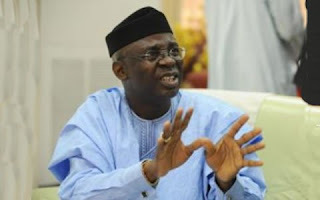 Christian24 Library: PASTOR TUNDE BAKARE SAYS, " RENEGOTIATE OUR UNION"
PASTOR TUNDE BAKARE SAYS, " RENEGOTIATE OUR UNION"
ers. Throwing his weight behind the agitation for a comprehensive restructuring of the country, Bakare said process reforms as advocated by the president would not address foundational reforms. He said: “I totally agree with Mr. President that we need process reforms; otherwise, we would not be appointing dead men to head parastatals, but can process reforms replace foundational structural reforms? Never. Be that as it may, let no one confuse the genuine call to restructure the nation with the gimmicks of political opportunists who ride on the restructuring wave for their perceived advantage. Many of them talk the talk but neither walked the talk in the past nor will do so in the future.